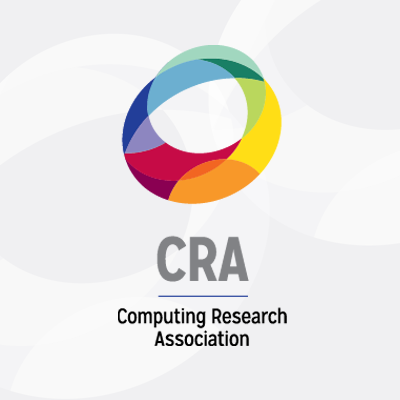 Yesterday, CRA joined with many other members of the computing community in submitting a public comment on the recently issued proposed grant funding priorities at the Department of Education. In the comment, we argued that computer science education should be made a higher priority in the grant making process at the department and that expanding access to CS to traditionally underserved students should be a priority in itself (it is listed as a sub-priority in the department’s list). CRA’s full comment is below. Regular readers will recall that at the end of September the Trump Administration announced it was directing the Department of Education to make computer science education a top priority of the department. In addition, the Presidential Memorandum also directed that at least $200 million in existing DOEd grants be set aside for CS education efforts. The next step in the process is for the Department of Education to review the comments and determine their potential impact on their proposed rules. This is the complicated part of the process, as it’s not a simple binary of “yes, this takes effect” or “no, they do not.” The Education Department will need to determine if the submitted comments from the public raised substantial problems that need to be addressed, or if the rules are fine and can be implemented (or some middle ground). It’s worth noting that anyone could submit comments during this period (indeed, there were 1,444 comments submitted) and that these rules cover all the priorities at DOEd, not just those with regard to computer science and STEM. The CS community will have to wait and see what the department does next. We’ll update as the situation develops. For a more detailed idea of the US regulatory process, here is a FAQ from the Federal Register. As an organization representing the nation’s top industrial and academic computing research labs and departments, the Computing Research Association can attest to the critical importance of strong K-12 computer science education to the nation’s computing research enterprise. That ecosystem of computing researchers working in academic research departments, industrial R&D facilities, and Federal research labs is responsible for enabling the innovation that drives the U.S. economy, creating thousands of new businesses and millions of new jobs. Success in this 21st century economy will require U.S. students be able to think computationally regardless of employment sector, and ensuring that students have those skills and knowledge to succeed ought to be a priority for the nation. We were pleased when President Trump announced his Administration’s commitment to invest $200 million per year to K-12 computer science efforts in recognition. However, we are disappointed with the relative lack of prominence and priority granted computer science education in the Secretary’s Proposed Supplemental Priorities and Definitions for Discretionary Grant Programs (published October 12, 2017). We are concerned that a failure to make K-12 computer science education a priority within the Department of Education could be detrimental to the long term computer science research capacity in the nation and threaten our global leadership position in information technology. Therefore, we ask that the Administration place greater emphasis on computer science by replacing references to “STEM including computer science…” with “STEM with a priority on computer science…”. Additionally, we ask that sub-priority 6(d) be added as either an absolute priority or competitive priority across competitive programs within the Department of Education when the Notices Inviting Applications for each competitive program are issued.